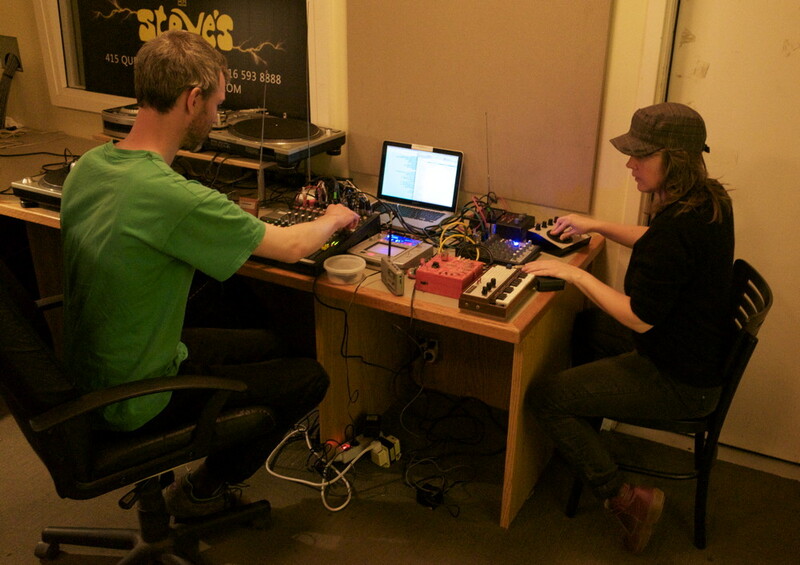 On our return to Toronto to take part in NAISA’s Deep Wireless festival and Transmission X Symposium, our host Jim Bailey offered us to join him for a live session on his weekly radio show on local campus radio CIUT. 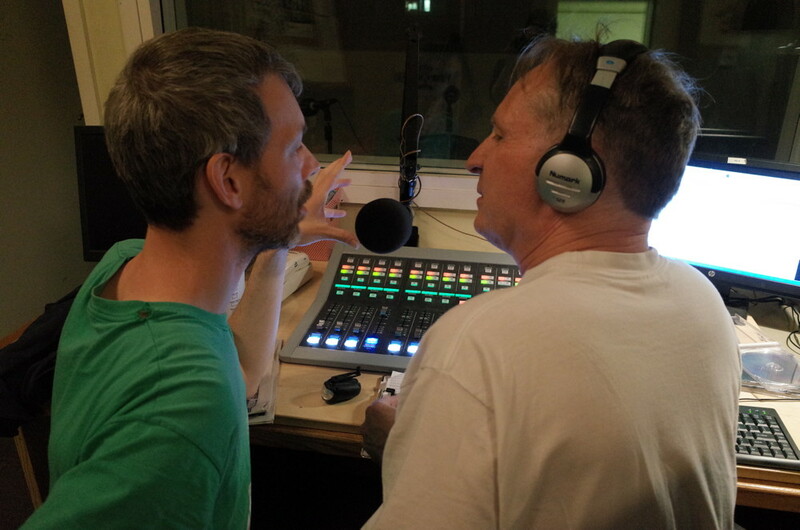 Did we say ‘local’ radio station? With a transmitter power of 15,000 Watts the transmission can be heard across the border in the US. Knut could not resist feeding the 15kW transmitter back though a tiny transistor radio and a mic in a plastic box. Jim joined in on voice and objects for a trio performance before we steped back out into the night in the deserted government district. 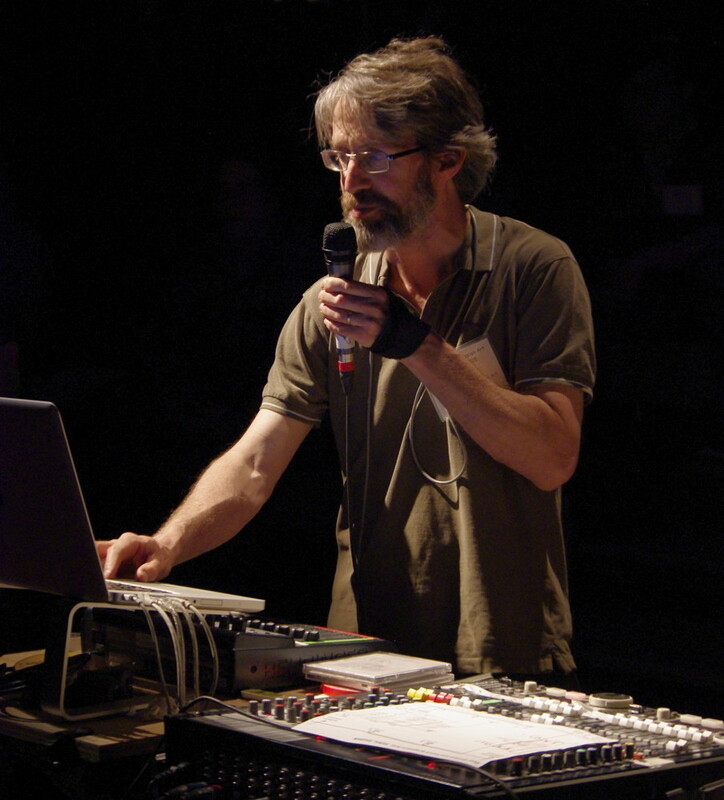 Our collaborations with fellow experimental musicians continued at Deep Wireless, where our evening performance ended in an ad hoc quartet with Peter Flemming playing his electromagnetic installation and live surround sound diffusion by Darren Copeland gesturing with his data glove. The following day we gave the keynote lecture at the Trans X Symposium entitled “What we’ve learned so far – 10 years of Mobile Radio”. Our trip was made possible by the generous support from the Goethe Institut Toronto. 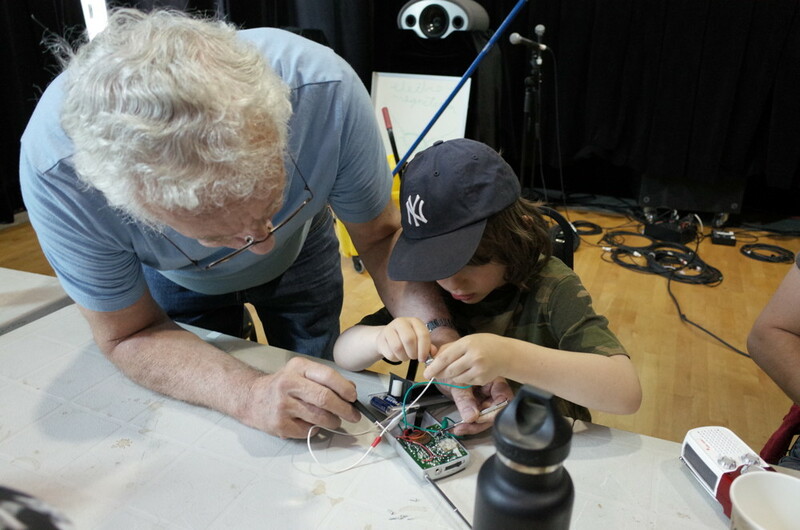 Our final involvement in the festival was a two hour radio hacking workshop that yielded some instant and noisy results for participants young and old. 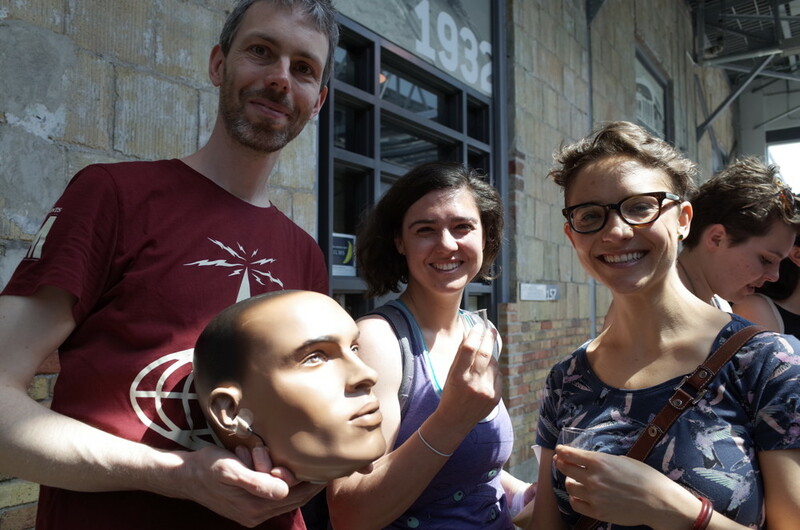 For our first project in North America, we decided to realise a long-held desire to produce a binaural radio broadcast using a dummy head. 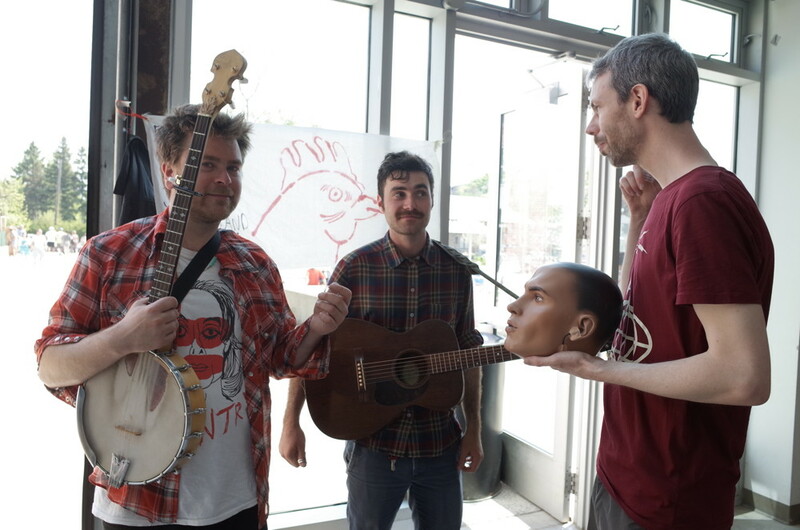 As it turned out, it was incredibly easy to source a suitable mannequin head in Toronto as there is a specialist shop for showroom dummy parts. 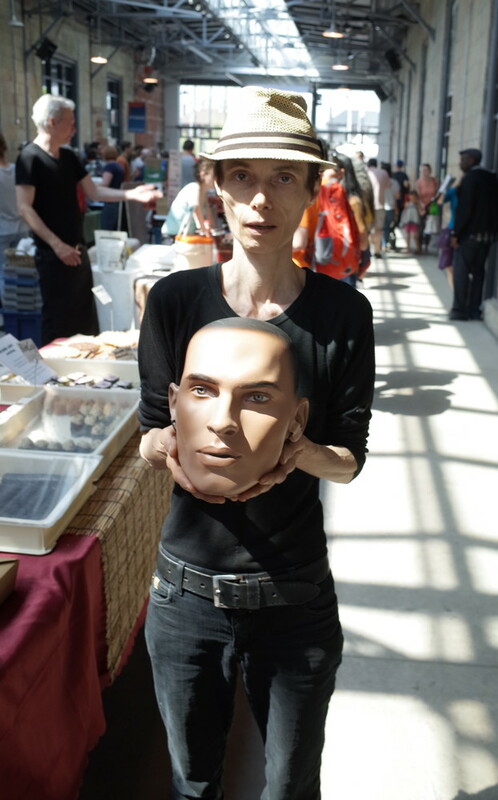 We wanted a realistic looking head model to maximise the effect of using it in public space. It so happened that our head, dubbed Leslie (after the rotating speaker) and selected for the quality of his ears, was an eerily convincing representation of a secret agent. 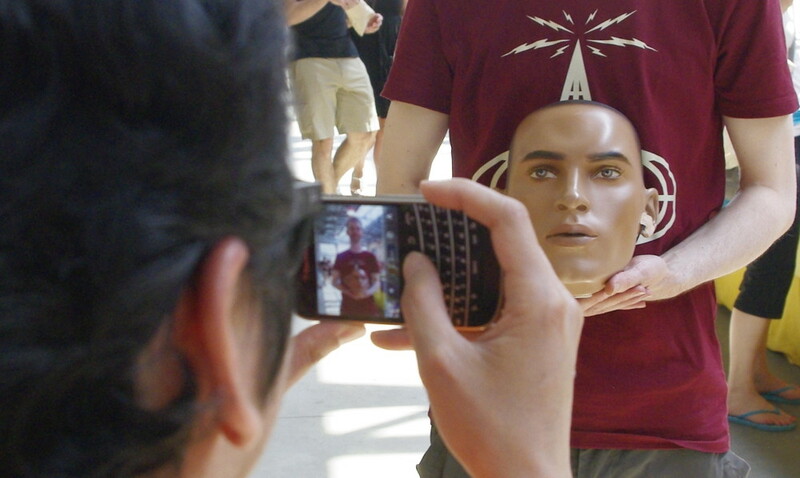 We used him to stage a temporary radio broadcast from The Stop’s Farmers’ Market. 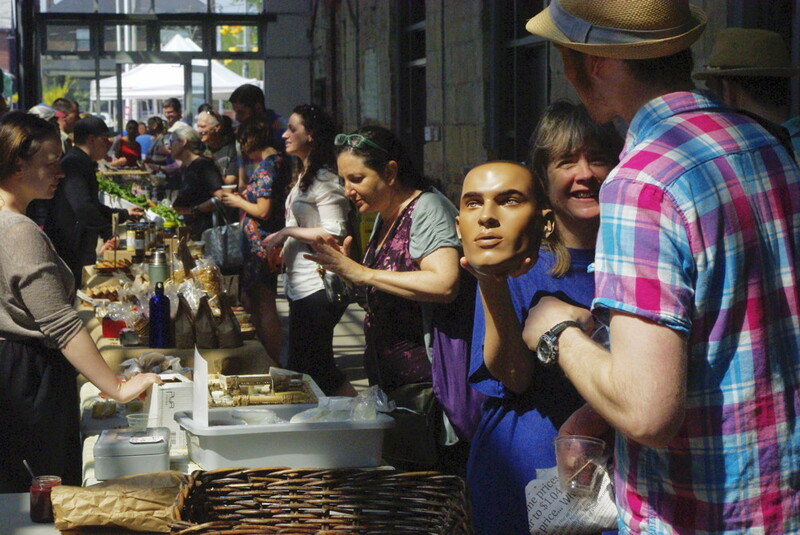 The market is housed in Artspace Wychwood Barns, where our hosts NAISA are located. 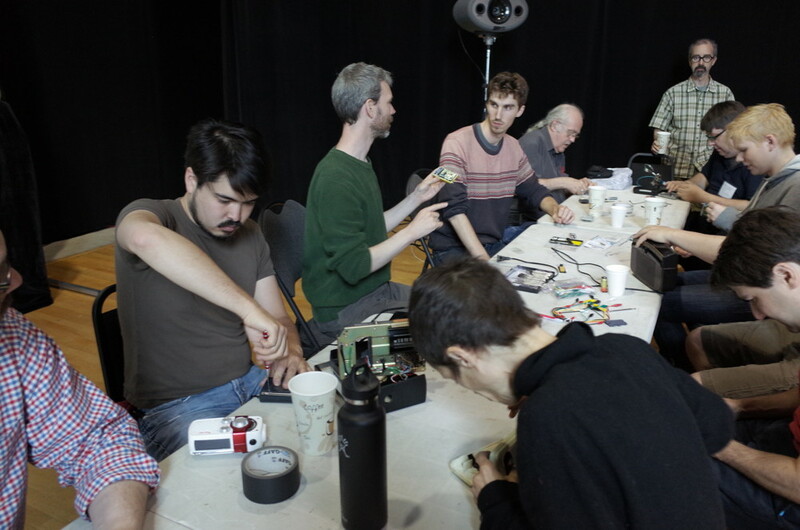 NAISA invited us in cooperation with Goethe Institut Toronto as resident artists for the Deep Wireless festival and key note speakers for the TransX Transmission Art Symposium. Leslie was equipped to transmit from in-ear microphones in surround sound. 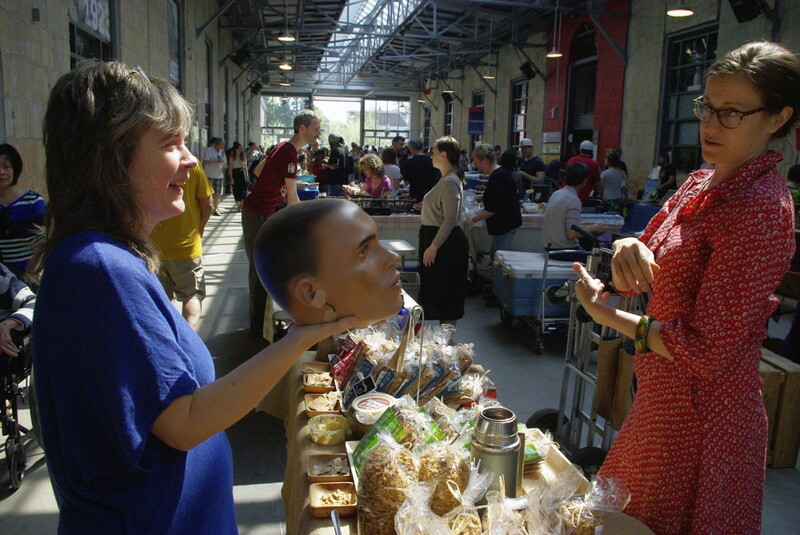 He was taken on a tour of The Stop’s Farmers’ Market introducing him to the vendors and their wares. The idea was to perform a social sculpture dealing with the joint themes of ecological sustainability and surveillance-resistance. This was in part conceived as an inverse interpretation of How to Explain Pictures to a Dead Hare by Joseph Beuys. Leslie’s oppositions to the Dead Hare were as follows: the audience did not know they were an audience / the objects for interpretation (in this case foodstuffs) were produced by many people / Leslie’s perspective was made audible / anyone could participate by speaking – transforming audience into performers / the symbolic props (home-made jam, chocolates and wine from Germany, freshly picked high mountain green tea from Taiwan) were shared with the public as offerings. There was also a potential secondary layer of live audience, both intentional and unintentional: listeners from elsewhere in the world could track the tour from stall to stall by picking up the advertised Deep Wireless radio stream, whereas local people could pick up the FM broadcast by accident, follow Leslie around the market with their own radios, or tune in when they returned home to the surrounding area. The broadcast frequency was not advertised, it was told to people individually. 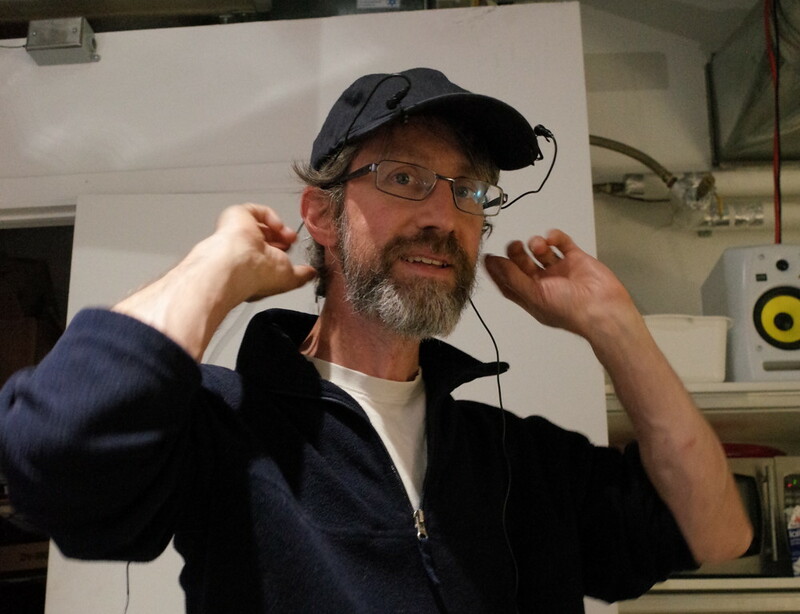 Listening in on headphones unlocked the binaural quality of Leslie’s transmissions enabling a simulation of the spatialisation of sound as it occurred at his precise location. The produce we brought from Germany was shared in communion with the public, by way of exchange and in appreciation for the art of the artisan food producer and their importance as pioneers of the current conception of food sustainability. Above, browsers sample a 2004 Auslese*** from Weingut Karl Erbes. Another highlight was our own red gooseberry and raspberry jam which we teamed up with a loaf of local bread. Our gifts were much appreciated, meaning that during the two hour broadcast-performance Leslie only managed one round of the market. 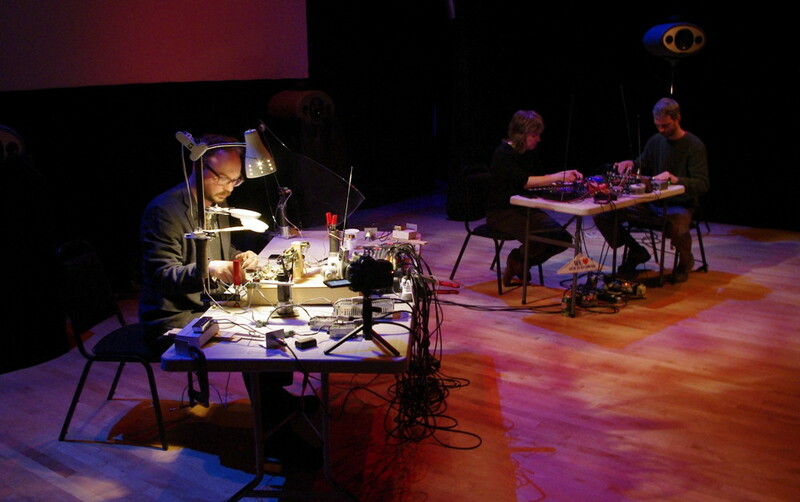 The broadcast-performance had several interesting effects and outcomes. One was the ability of Leslie to completely break down interpersonal barriers. Almost anyone we passed was happy to talk to us and would continue even after we had explained that we were broadcasting. (A natural speaking manner is unachievable if you offer a microphone to people.) As soon as Leslie was out of your hands, you became invisible to passers-by once more. Secondly, the surveillance aspect of the project was not immediately obvious to many participants. Where it did arise in the form of a query about our intentions, we countered with the suggestion that Leslie makes it visible that we are being listened to, unlike the other devices we are surrounded with. Also, we explained that no-one knows who is listening to Leslie on the airwaves. These were considered to be very novel ideas. We hoped to trigger further awareness of the current level of state surveillance and data capture. Thirdly, there was a spooky element to the proceedings. There were many expressions of shock, and people ran around excitedly pointing out the disembodied head to their friends. One man saw the head and was instantly transfixed; mesmerised to the degree he was unable to deal with his small daughter falling over backwards at the same moment on the hard floor. Casting half a glance in her direction, he returned his eyes to the head and its bearer in disbelief, and then squinted as if to make an accusation: I don’t know how you did it, but that severed head made my child fall over and hit her head! Our thanks to Claude Wittmann for the use of his radio transmitter, which in conjunction with small wireless microphones embedded in Leslie’s ears enabled us to broadcast live in the local area on FM.